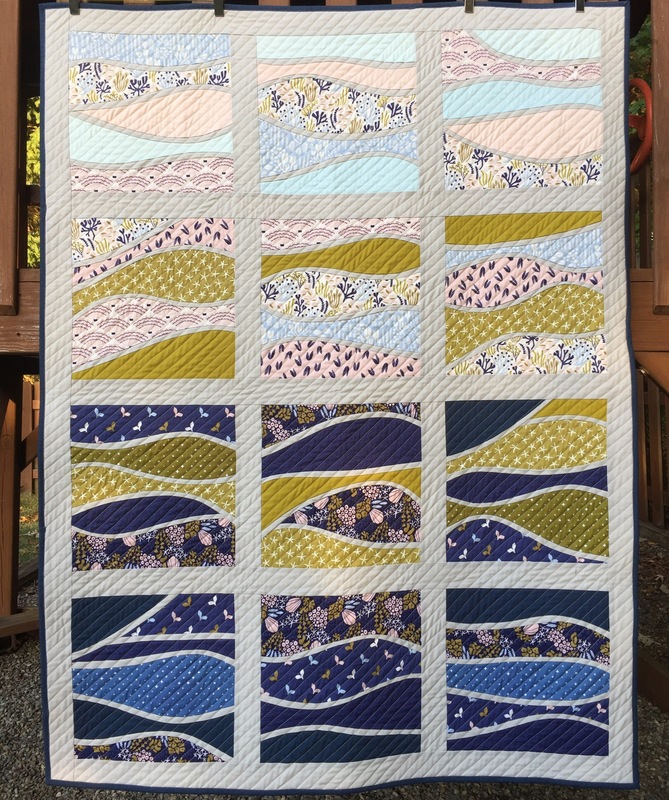 The post is a little delayed, but here is the full ImprovWaves quilt that I made for the Cloud9 Fabrics Quilt Market booth! It features prints from Elizabeth Olwen’s new collection Underwater, along with We Are All Stars and Cirrus Solids coordinates. The design is by Lynne Goldsworthy’s Out On the Ocean quilt seen here (with tutorial!). I love the color and variety of the prints. The colors are meant to layer through the depths of the ocean and the quilting represents light filtering down to the deep. Look for the collection when it is released in December!